SKU: 713757369831 / Product Availability: Yes / Manufacturer: MusclePharm Corp. 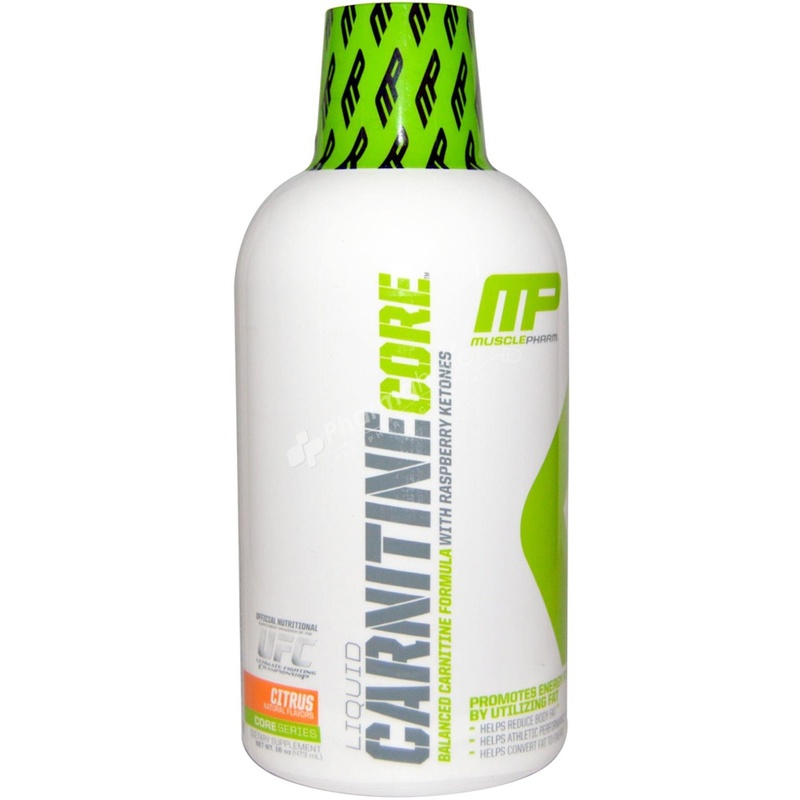 Liquid Carnitine Core™ | Balanced Carnitine Formula with Raspberry Ketones. The ultimate stimulant-free fat metabolizer.Carnitine Core utilizes the naturally-occuring amino acid l-carnitine to ramp up your metabolism, turning your body into a fat-burning machine. Carnitine Core doesn't just help burn fat, it helps turn it into energy, giving your body an awesome energy source when you need it most. With increased metabolism, you can burn even more fat, turning that fat into energy and increasing your performance in the gym. Added Raspberry Ketones enhance the energy boost, giving you the edge you need and putting you closer to the results you're after. In addition combining ingredients like l-carnitine and Raspberry Ketones work synergistically from a weight management perspective, and may help promote lipolysis - converting stored fat to fatty acids and fat oxidation - and the burning of those fatty acids. Shake well before each use. As a dietary supplement, take 1 tablespoon or 1/2 oz of Carnitine Core 1 – 3 times daily or as directed by a physician or licensed nutritionist. May also be mixed with your favorite juice or beverage. Refrigerate after opening.